When inhaled, toxic materials and carcinogens flow into the body affects blood pressure, heart rate, until the health of organs and immune system. We all also know that cigarette smoke harmful to anyone, both the smoker and those around it. Here's a substance in cigarettes. Carcinogens are cancer-causing substances. About 60 chemicals in cigarettes cause cancer. * TSNAs. Tobacco-specific N-nitrosamines (TSNAs) is a major carcinogen in cigarettes and cigarette smoke. * Benzene. Benzene is contained in pesticides and gasoline. Cigarette smoke contains high levels of benzene. * Pesticides. Pesticides are commonly used to kill pests inhaled into the lungs via cigarette smoke. * Formaldehyde. Formaldehyde is a chemical used to preserve dead bodies. Formaldehyde is a cause irritation of nose, throat, and eyes are present in cigarette smoke. Metals contained in cigarettes are hazardous to health. In large numbers, they are highly toxic to the body. * Arsenic. Usually used in rat poison. Arsenic contained in cigarette smoke through the pesticides used on tobacco plantations. * Cadmium. Cadmium contained in batrei. In smokers, there were two times higher than cadmium body nonsmokers. Radioactive substances in cigarette smoke harmful to anyone who breathe it. Radioactive material is plumbum (Pb-210) and polonium (Po-210). They are dangerous heavy metals in cigarette smoke. Toxins are substances that can cause illness or death in living things. 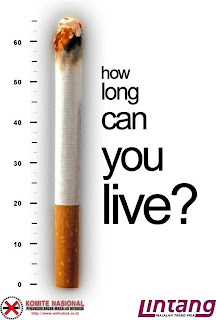 Research shows that cigarette smoke contains toxic gases 200. * Ammonia. Ammonia is commonly used in cleaning products and fertilizers. Ammonia is used to enhance the effects of nicotine in cigarettes. * Carbon monoxide. Carbon monoxide found in car exhaust and cause death in high doses. Cigarette smoke contains high concentrations of carbon monoxide. * Hydrogen Cyanide. Formerly, the Nazis used hydrogen cyanide to kill people in gas chambers during World War II. 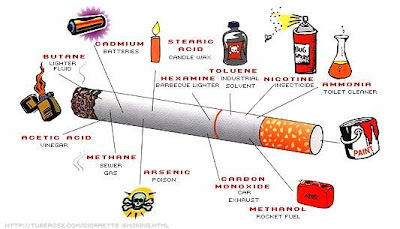 Today, hydrogen cyanide can be found in cigarette smoke. * Nicotine. Nicotine is used in pesticides. Substance is what causes addiction to cigarettes. Cigarette smoke, whether inhaled smoke and fumes from the burning cigarette, contains 250 hazardous chemicals, including 50 cancer-causing substances. It also passed for second-hand smoke. That is, if you inhale cigarette smoke, all these harmful substances come into your body. Let us support the people closest to quit smoking. 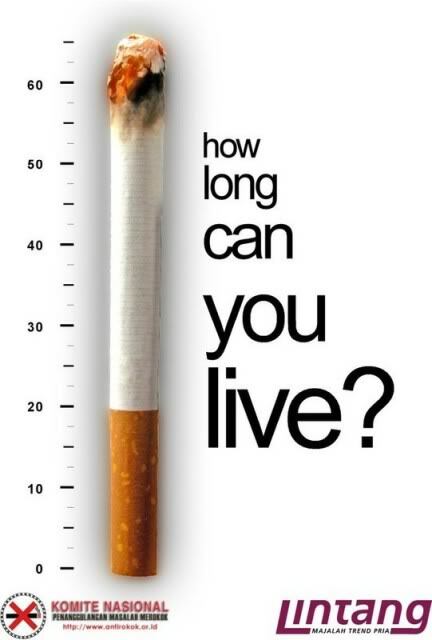 When quitting smoking, when it also will become more healthy body mentally and physically.